Q. What is the difference between a vegetable wax and a paraffin (petroleum-based wax)? A. There have been several misconceptions floating around (especially on the internet) regarding paraffin waxes vs. vegetable-based waxes. Many proponents of vegetable waxes are making extravagant claims about their superiority to paraffin. It is important to realize that both are safe, viable "natural" raw materials with differing chemical compositions thus offering many varied benefits depending on end user applications. Paraffin and vegetable-based waxes are derived from similar manufacturing processes where a "crude oil" is refined (hydrogenated) to obtain a "wax" product. Both exhibit similar physical properties that give them their "wax-like" characteristics. 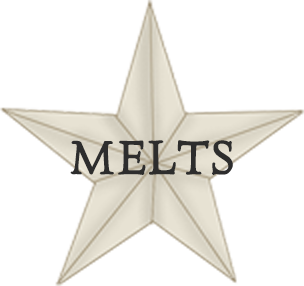 These properties include being solid at room temperature and having a relatively low viscosity at temperatures slightly above the melt point. Since each material is derived from a different natural base, the chemical composition greatly differs resulting in a very wide range of functionality. As vegetable wax proponents seek to establish market share, there is a misconception that it must be done at the expense of paraffin waxes. Various manufacturers who utilize vegetable wax materials, have launched aggressive marketing campaigns designed to "disqualify" and "discredit" petroleum wax. Unfortunately, their negative publicity campaign has resulted in numerous misconceptions and generally unsupported scientific claims being promoted. It is important to clarify that both paraffin and vegetable-based waxes have been found to be biodegradable, safe, and effective when used in well-designed products. Q. What type of wax do you use? A. 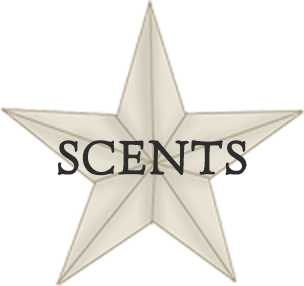 When making our container candles, we use our special secret Paraffin blend of wax which is soft and creamy. Our creamy blend of wax has many advantages, one being the amount of fragrance we can add to this wax, it has a very high fragrance load which makes for extremely highly scented candles. Another great advantage of this wax is that container candles require a low melting point to burn off the wax and not leave a ring of unburned wax around the inside of the container. (The term for this is "wax hang up") Softer wax also makes a more strongly scented candle. With the soft wax, the scent molecules bind to the wax better and are easily released during burning making a very fragrant candle. Soft container wax also has a much higher oil content making a longer burning candle. When you purchase a candle from Candles By Victoria we guarantee you will have no wax hang up on the side of your jars. You will get a complete highly scented burn all the way to the bottom!! Our special blend of soft wax makes a candle unlike any candle you have experienced before. Q. What kinds of testing for health effects have been done with fragrances added to candles? A. According to the requirements of U.S. and European governments, extensive health and safety studies are conducted on fragrance materials. These include toxicological, pharmacology and skin contact tests. Because of the extensive testing and close relationship with U.S. candle and fragrance manufacturers, consumers can feel confident that scented candles are safe when used as directed. Q. Do scented candles emit dangerous amounts of toxic pollutants into the air? A. A properly burning candle produces water vapor and carbon dioxide, the same materials we exhale when we breathe. Q. Are scented candles triggers for asthma and allergies? A. Millions of Americans who use scented candles have positive responses to them. The small handful of consumers who may have a negative response should avoid burning candles with that particular scent and be sure to use candles in a well-ventilated area. Q. Why does my candle jar sometimes turn black at the top? A. The black you see is carbon. An excessively large flame will produce carbon due to lack of sufficient oxygen from the air in the jar to provide complete combustion. The updraft of hot gases from combustion hinders diffusion of air into the jar and that starves the flame of oxygen. The key for that perfect burning candle is wick maintenance. The wick must be trimmed to no more than 1/4" throughout the candle life. It is suggested that upon each candle lighting the wick be trimmed to our specifications. Note: Burning a candle for longer periods of time than recommended can cause a wick to "mushroom" or produce a large black clump on the wick. Always keep your wicks trimmed to 1/4 inch and burn for only the recommended amount of time to prevent this effect. Q. What is the best way to trim a wick? A. As a bit of trivia, "Did you know that there is a difference between a candle snuffer and a candle extinguisher?" It is interesting to note that the charred wick-end was termed snuff. The scissor like instrument used to remove this char, or to trim the wick, was referred to as a snuffer. A candle extinguisher was a cone shaped cap at the end of a rod. Through the passage of time it has been a common error to think of a candle snuffer as an extinguisher. There are several ways to trim a wick. The most popular ways are with a pair of scissors or nail clippers but we recommend our wick trimmers, our wick trimmers trim the wicks to the exact length each time and catch any wick debis. As a safety precaution, make sure that all wick trimmings and all other foreign materials are removed from the jar. Q. What is the best way to extinguish a candle? A. We ordinarily don't give this area of candle extinguishment much thought but there is a correct way. The best way to blow out a candle is to hold your finger in front of the flame and blow at your finger. The air will flow around your finger and extinguish the candle flame from both sides preventing hot wax from spattering. While on the subject, to reduce after burn wick smoldering, continue to blow until the wick glow is extinguished. This will prevent smoking of the wick upon extinguishing. Do not use water as it can cause the hot wax to spatter and some candle containers to break due to the sudden temperature change. Additionally, do not use the jar cover as some have plastic filaments which may melt. Q. Will my candle lose its fragrance if the jar is left uncovered? A. No. This is a common misunderstanding. Remember, a candle is a solid not a liquid. Most liquids will lose their fragrance if left uncovered. Examples of this would include perfumes and colognes. At Candles By Victoria we thoroughly mix our fragrances within the wax and continue to agitate throughout the filling process. This assures that the fragrance is captured within the very structure of the candle and releases the powerful fragrance upon wax liquefying through melting. Occasionally a customer will drop one of our candles, shattering the glass. This gives us the opportunity to prove that our candles are scented throughout the candle, not just "topping off" surface scenting or wick scenting. This very well may be your answer when purchasing candles from others sources, which after a short time you say, "I can't smell my candle anymore!" Q. Why after a couple of hours of burning do certain candles seem to lose their fragrance? A. In all probability only the top surface of the candle was scented! At Candles By Victoria the entire wax batch is blended with our powerful fragrance oils and color. This assures even and constant fragrance discharge throughout the life of the candle.